This, as far as I know, is a unique instrument, made specially for me by Ian Chisholm. 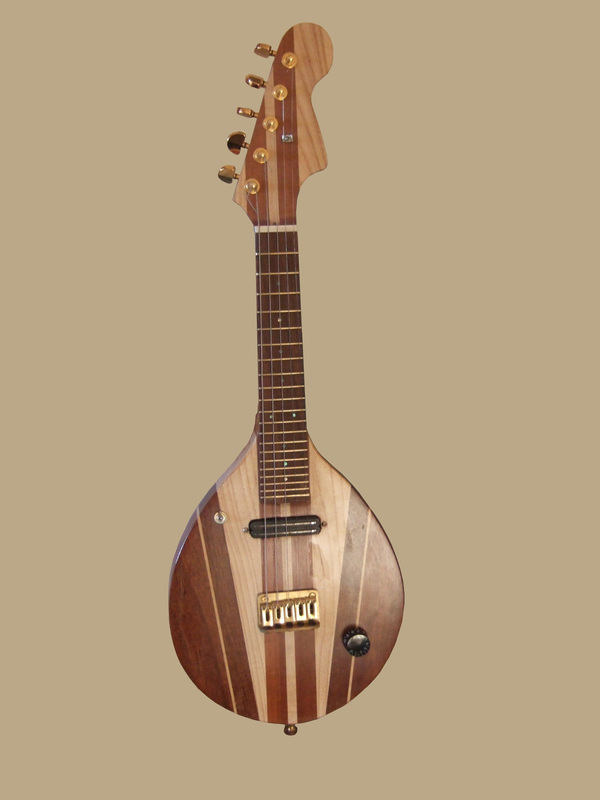 It's a solid mandolin-style body with five single strings tuned CGDAE. In other words, the top four strings are tuned like a violin, and the additional fifth string gives it a tenor guitar range. It has quite a powerful pickup fitted to it and gives plenty of sustain when required.